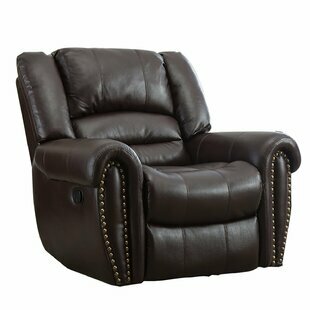 With a modular design and contemporary style, this recliner is the perfect addition for any entertainment room or living room. 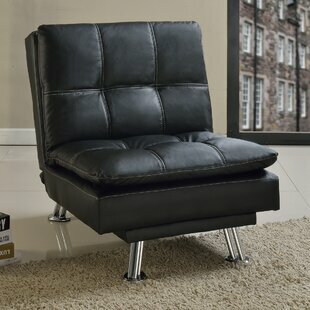 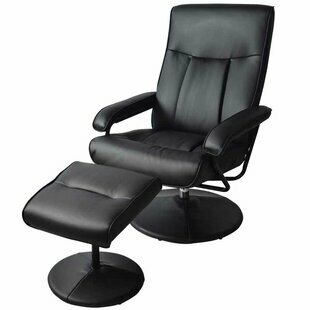 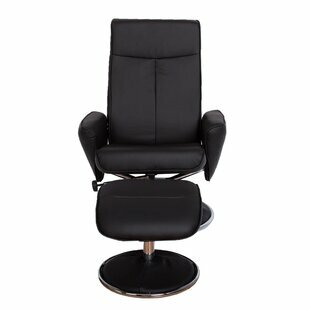 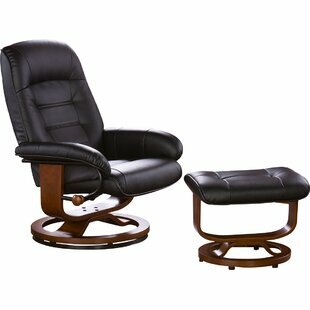 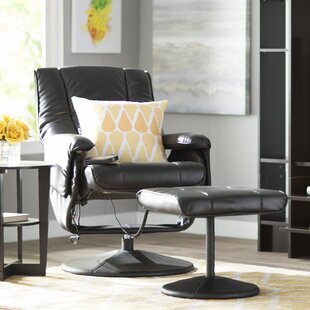 Wrapped in a black leather-like vinyl, each push back recliner offers ample seating space. 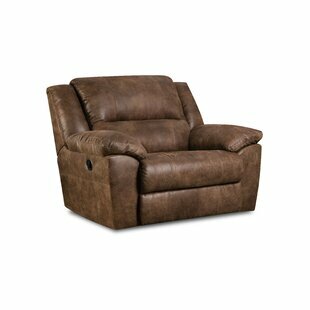 Upholstery Material: Faux leather Upholstery Material Details: Polyurethane 65%, Polyester 35% Reclining Type: Manual Weight Capacity: 300lb. 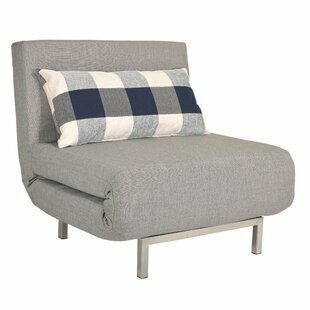 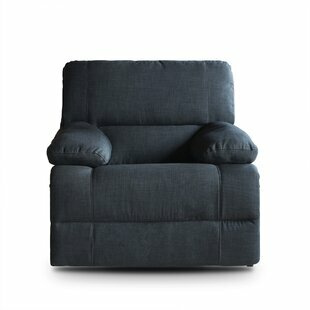 Love to lean back as you watch TV? 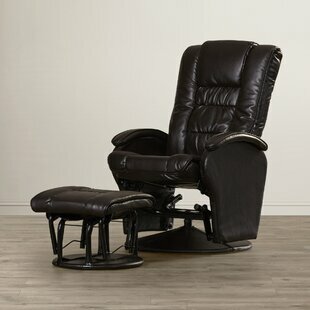 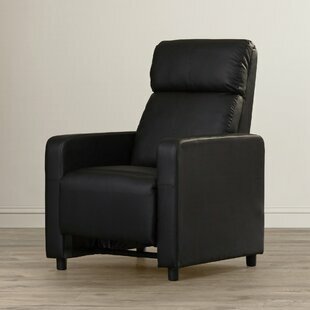 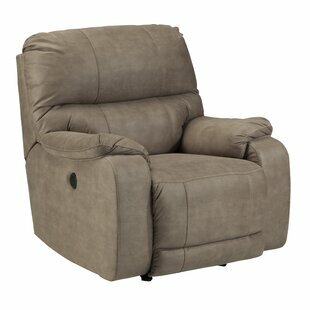 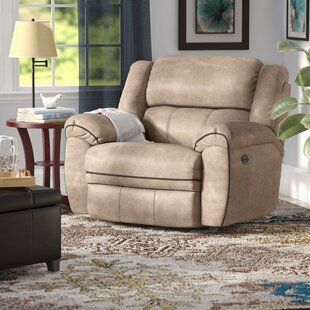 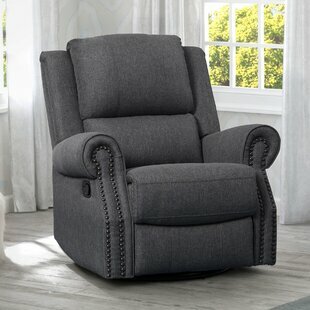 This versatile Simmons Genevieve Power Recliner offers three different positions so you can decide how youll be most comfortable as you unwind in the living room. 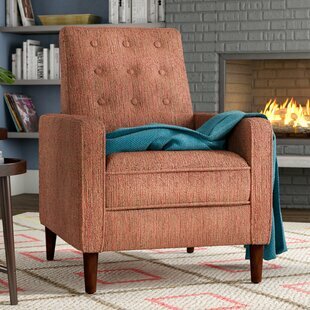 Crafted in the United States with solid wood, and manufactured wood frame, this transitional piece blends easily into an arrangement where contemporary and traditional styles meet. 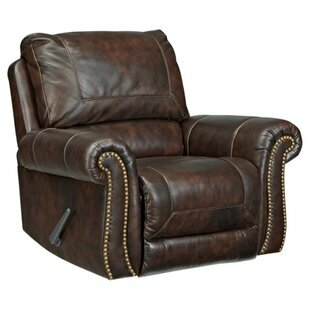 This brown-toned tan design adds warmth to your space, while its upholstery is a pet-friendly blend of embossed knitted... Upholstery Material: Polyester Blend; Velvet Upholstery Material Details: Embossed, knitted velvet with a heavy fleece backing Reclining Type: Power Weight Capacity: 250lb. 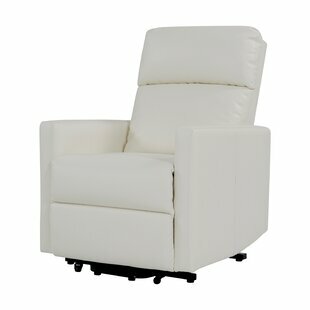 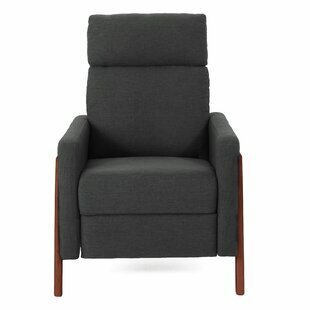 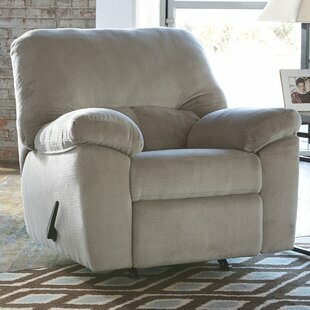 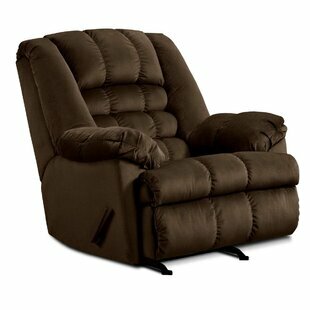 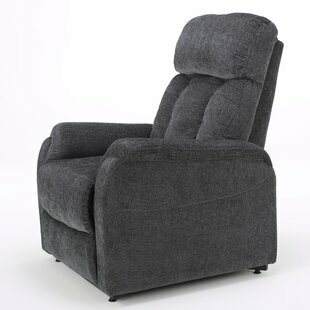 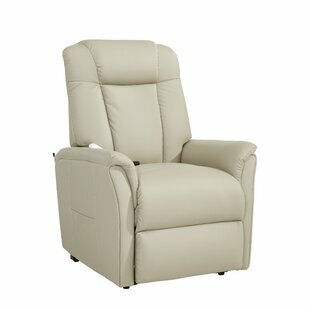 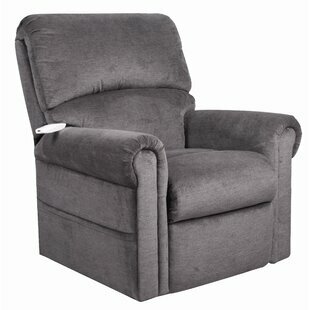 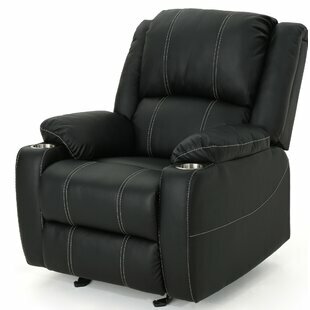 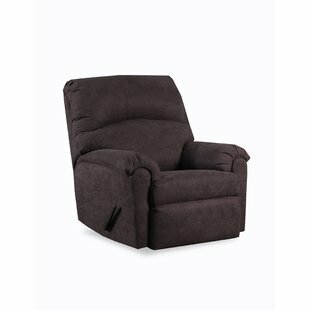 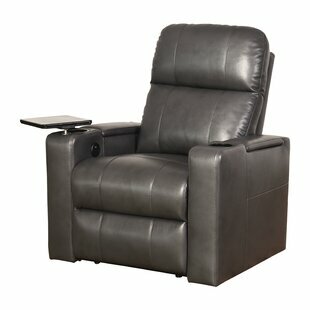 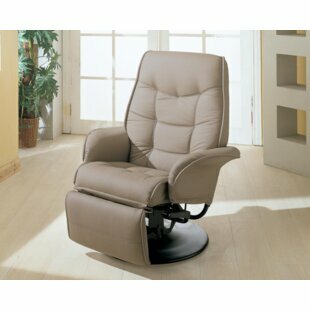 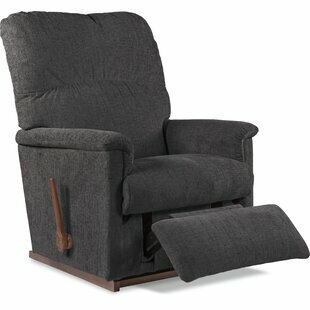 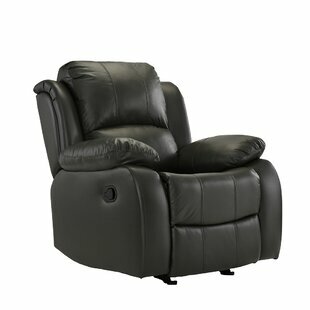 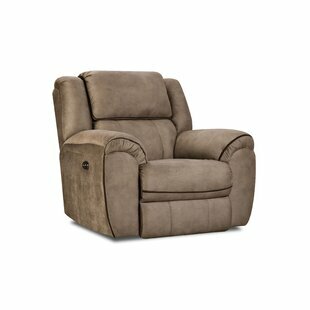 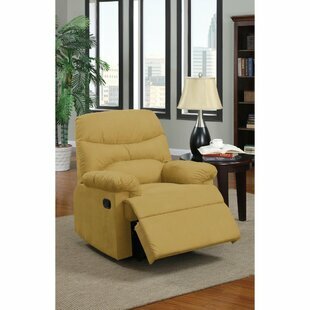 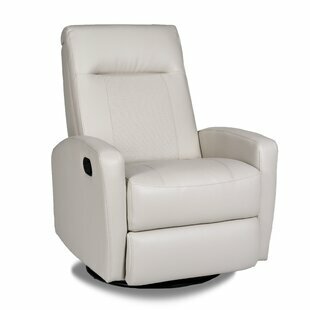 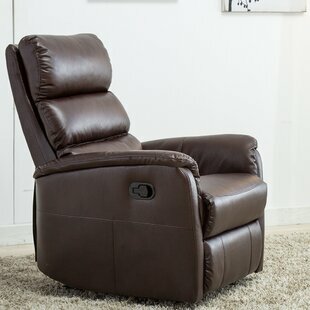 Latch active cuddlier recliner with Pocketed Coil Seating. 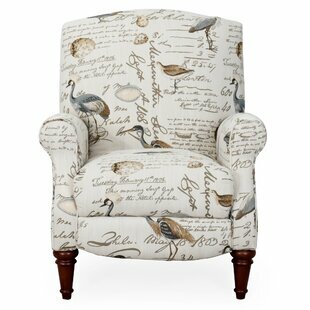 Pub back with top stitch, Fully padded chaise and arms. 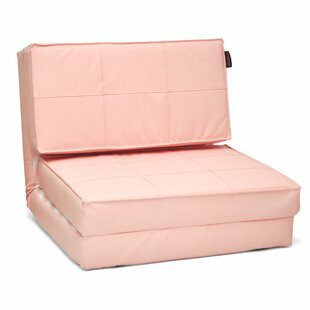 Covered in an ultra soft distressed bomber jacket PU cover. 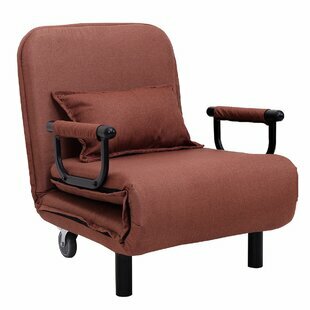 Upholstery Material: Polyester Blend Upholstery Material Details: Polyester belnd Weight Capacity: 300lb. 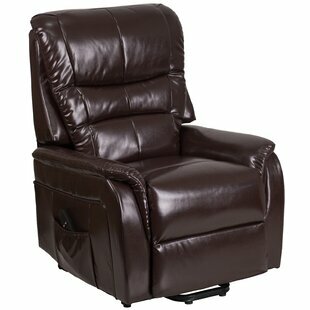 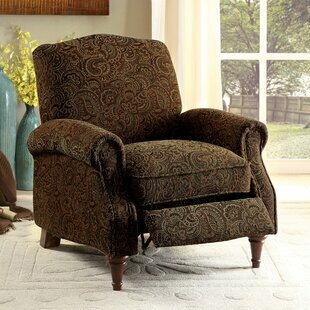 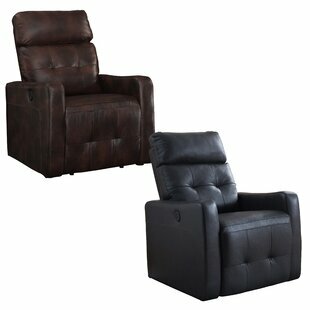 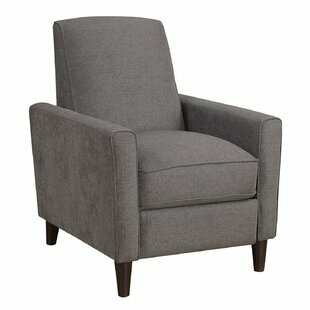 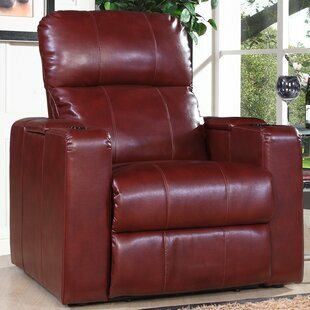 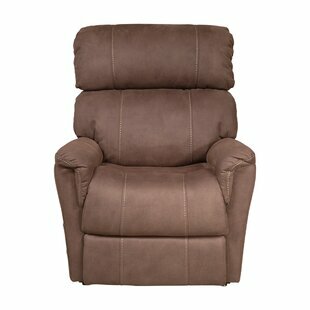 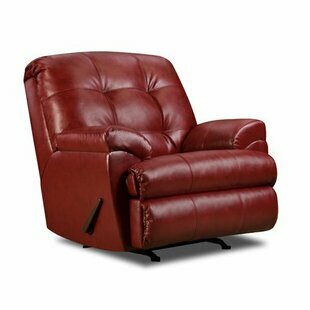 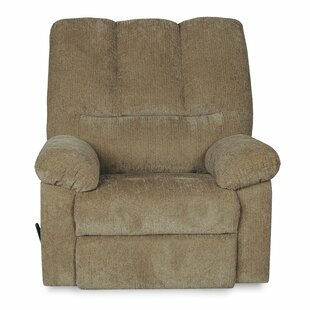 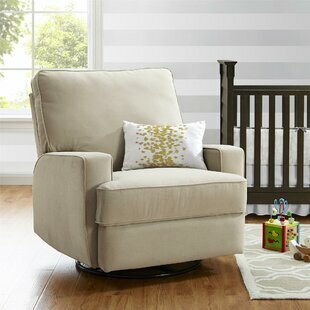 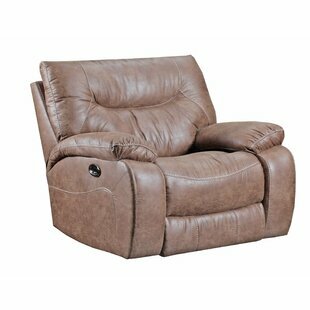 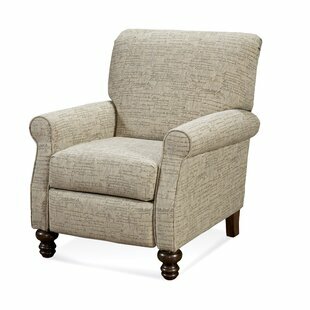 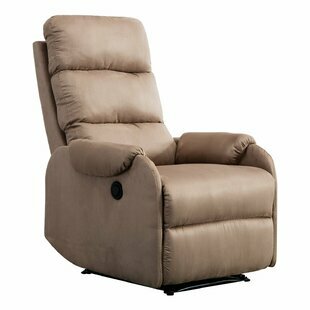 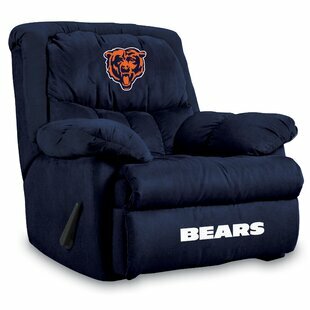 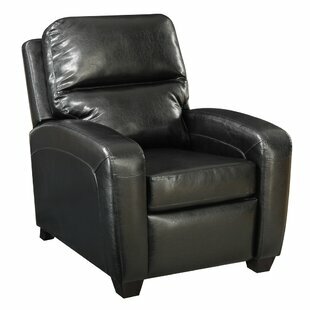 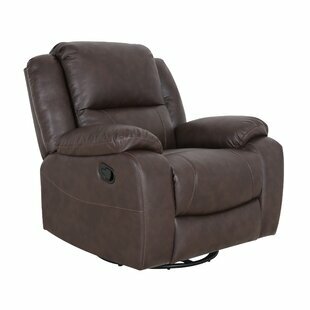 This lift recliner is a wonderful addition to your home and makes getting out of your seat a breeze. 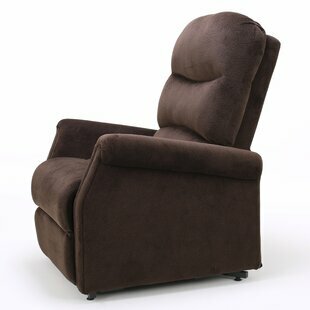 Wall hugger design only needs 4" of clearance from the wall to recline or lift and uses less floor space when reclining. 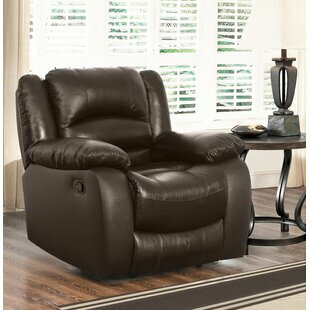 Covered in Tuff Stuff, a synthetic leather fabric made of 100% polyurethane with a poly blend base (70% polyester, 30% cotton). 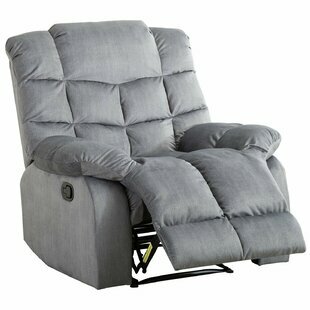 The wired controller has 2 easy to use buttons for lifting or reclining, simply hold the button until your comfort level is reached. 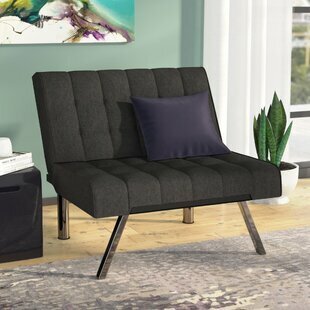 Full chaise pad... Upholstery Material: Polyester Blend; Cotton Blend Upholstery Material Details: 100% Polyurethane, 70% Polyester, 30% Cotton base Reclining Type: Power Weight Capacity: 300lb.